The Media Kitchen, a perennial in MediaPost’s Agency of the Year awards in recent years, was a strong contender coming into 2018. But it also posed a problem for our editors in terms of which category to recognize it for. Its innovative approach to media planning — a process it dubs “signals planning ” — made it a finalist for overall media agency of the year. The signals planning approach utilizes a unique method that essentially decouples audience targeting from traditional demographics. It bases it on explicit signals of first-, second- and third-party data generated by its clients and its media and technology partners. Instead of defining and audience based on an archetypal framework of demography, the signals planning approach enables TMK and its clients to define their audiences based on behavioral signals generated from the media. The application of the process is simple: Find which media and technology partners are capable of generating signals that identify the audiences that are right for a brand — and right for the explicit stage of the funnel the brand is seeking to influence — and execute the media plan. Then utilize the data generated from the audiences to inform future flights in a continuous cycle of testing, learning, iteration and ultimately, ROI, based on the brand’s audience and communications objectives. Not surprisingly, the mix of channel partners and signals applied in the process vary by client case. The one MediaPost was briefed on during our assessment process was proprietary and confidential, but to illustrate another example of how it works, TMK President Barry Lowenthal offered the case for longtime client, financial-services marketer Vanguard. “Basically, we are unbundling audiences from demographics,” he says. Instead of a conventional media plan, the agency “reimagined” Vanguard’s customer purchase funnel as a “journey map,” with the brand in the middle and various potential customer types — those already using or considering the brand, those currently “shopping the category,” etc. — on its perimeter. By using a third-party data provider, Pushspring, which enables brands to target audiences based on the apps they have installed and running on their mobile devices —The Media Kitchen could target people who were currently using rival Fidelity Investments’ mobile app with Vanguard ads. The journey map clusters similar data signals relevant to the Vanguard brand by tapping social-media platforms, publishing partners, DSPs, etc., to identify audiences that are optimum targets for various stages of Vanguard’s messages. “There are tons of data around social, and we are working more and more with publishers to use their first- or second-party data. That’s how we think of the trend of signals out there,” Lowenthal explains. He offered another exciting new source of data signals — Invoca. It enables brands like Vanguard to connect people calling their “call centers” for information and advice to digital cookie data used to retarget them in other places. If MediaPost had a category for media-planning agency of the year, it most likely would have gone to TMK this year for its signals planning approach. Instead, we are recognizing it as our Social Agency of the Year, because some of the best cases of the application of the approach were in social media, and related content distribution, that emanated from its signals planning approach. 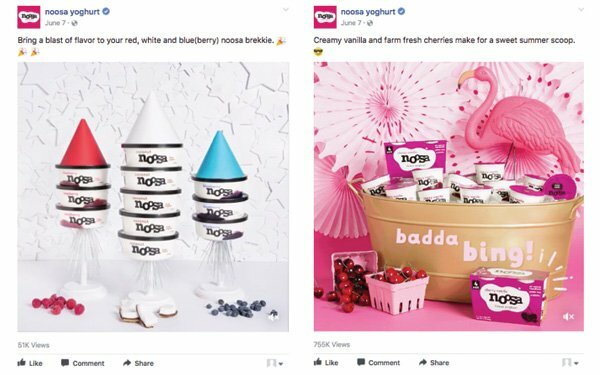 Good examples: The work the agency did for clients Lane Bryant and Pink, using a combination of content, publishing partners, as well as proprietary deals with major social media platforms such as Pink’s Spring Break promotion with Instagram, utilizing the platforms then new “Instagram Stories” format. TMK and Lane Bryant were one of the preferred partners that first got the test, learn and innovate with the new format. In another first, TMK worked with Cosmopolitan magazine to create customer snaps ads for Pink on Snapchat. “By being a Snapchat certified partner, we work together to find better ways of doing things for brands,” Lowenthal explains of the proprietary approach to social-media development. But perhaps the best reason for recognizing TMK as our Social Media Agency of the year is how it has integrated social into its programmatic stack. Much the way the agency transformed programmatic display and search marketing several years ago, by creating one single “biddable media” area of excellence, it is doing the same for social. The agency diffuses the knowledge and talent it develops from a biddable approach to social media across its brand groups, utilizing its signals-planning approach to identify audiences and signals as part of their strategy — then executing them through the efficiency of the biddable marketplace. Lowenthal describes it as a progression that began with agencies creating digital specialist units and then integrating them into full-service. The approach continued with mobile and social. But the big difference at TMK, he says, is recognizing that biddable media is its own area of expertise that needs to be understood and applied across programmatic media-buying platforms that go beyond search, programmatic display, video, mobile, and whatever comes next. “The same thing is starting to happen with social now,” he explains. The premise is based on the foundations of media neutrality, applying the best media, content, platforms or media marketplace buying approaches that make sense for its clients’ brands, while constantly innovating new ones.